A wonderful thing happened the other night. 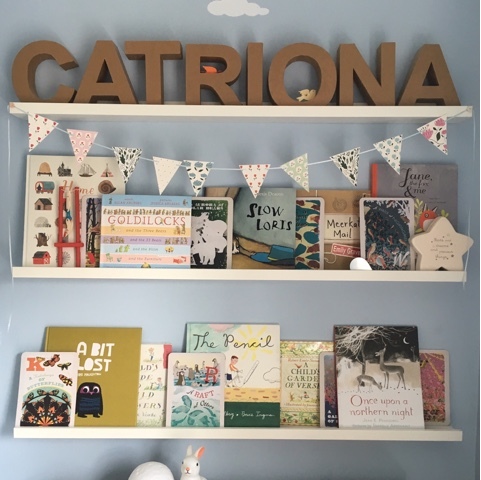 In a darkened bedroom with the curtains drawn and a lamp lit, my little girl pointed up to her bookshelves and said, "I want that one there, Mummy. The one in the middle. The one with the mouse." "What, this one?" I replied, hopefully, picking up Slow Loris by Alexis Deacon. "Yes." Heaven! I have always, always loved this book. 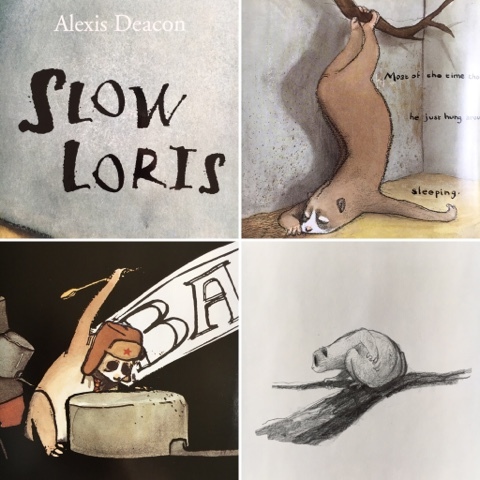 Originally published in 2002, it was Alexis Deacon's first book and, amongst other accolades, was listed as one of Time magazine's 100 Best Books of All Time. * It's a work of comedy genius and if you've never experienced Slow Loris, you are in for an absolute treat. Everyone at the zoo thinks that Loris is boring, because he's SO slow. It takes him ten minutes to eat a satsuma, twenty minutes to get from one end of his branch to the other and an hour to scratch his bottom (this is a particularly favourite part for Little C). But what no one knows, is that Slow Loris has a secret: at night, he likes to do things FAST! I loved reading this book with Little C and I was even happier when she asked me to read it again, and then again the following morning. 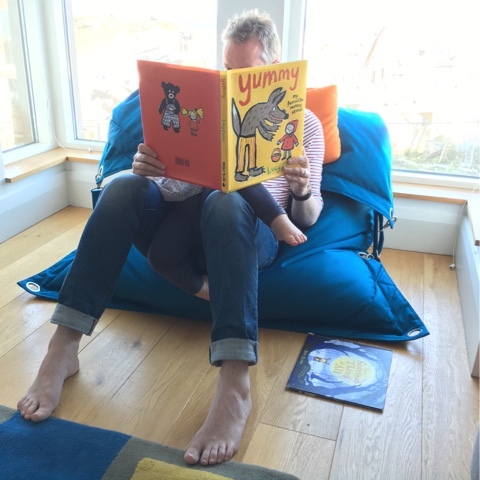 Sharing things you love is one of the great joys of having a small person and I can't think of anything lovelier than enjoying a book we both love, cooking together, playing the piano together and making things together. I can only hope that there will be more and more of these magical moments as she gets older. There is so much to look forward to. Lucky me! * More on this list in a future post, I think. Every once in a while, a reader comes across a book that they know from the very first line is going to be outstanding. We all remember the great first lines: Pride and Prejudice, To Kill a Mockingbird, A Tale of Two Cities, Nineteen Eighty-Four, The Go-Between and I Capture the Castle to name just a few. They get your attention, they set the book up, they give you the confidence that this is going to be a truly exceptional read. The first line of this book is so compelling that the publisher used it on the front of the book proof, "War was declared at 11.15 and Mary North signed up at noon." 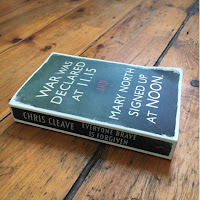 I knew from that very line, Everyone Brave Is Forgiven by Chris Cleave was going to be a book that I wouldn't want to finish - and I was right. I wanted to be reading it all the time and I loved every single minute of it. Even the desperately sad parts, the sometimes casual depiction of the everyday horrors of war, the brutal violence and the physical and emotional destruction that comes with it. This book was described by the publishers in their advance material as a literary epic and although it most certainly is literary there is something too detailed and too intimate to allow it to be described as an epic. An epic, to me, is a sprawling thing with a myriad of characters, tangled relationships and a timeframe that goes on at least a decade too long. The action of Everyone Brave Is Forgiven takes place over a mere 21 months. There are only a handful of characters and although their relationships are complicated they are never heavy-handed or overdone. One of the things that most struck me about this book was the changes in the characters over the timeframe of the book. At the beginning, they are funny, young, hopeful and brave; by the end they are older, wiser, slower, a bit broken but certainly no less brave. A part of me fell in love with each of the characters, flawed though they were and they became friends that I didn't want to be parted from. The deliciously open ending was perfect and made that parting bearable as they carried on their lives without me observing them. A wonderful book with an opening line that augered well, promised much and delivered more. One of the things that always pleasantly surprises me about reading with a small person is their amazing ability not to get bored. I remember once going to a talk about children and reading and being told the statistic that on average children will read the same book 40 times. 40? Yes, 40! And I'm beginning to suspect that that's a conservative estimate. Every single night for the last three weeks, I have had the pleasure of reading from Yummy by Lucy Cousins. It is a brilliant book, but a very dark book indeed – no doubt about it. Foxy Loxy does bite the heads off Ducky Lucky, Cocky Locky, Goosey Poosey and co. The wolf does swallow up Little Red Riding Hood and her poor sick granny and the woodsman then really does go on to hack his head off. 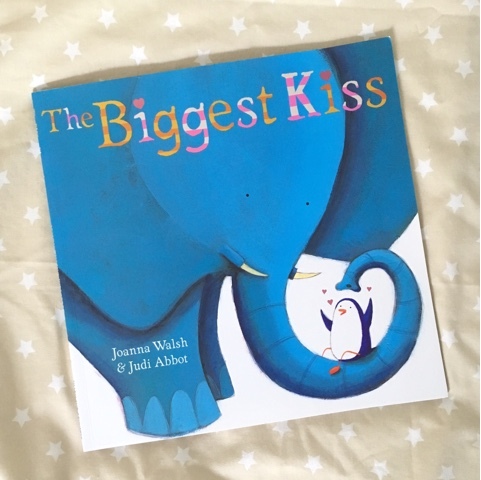 From the format of the book, the level of the text and the bright, cheerful illustration it's obvious that this collection of traditional tales is aimed at two-year-olds but to me it's a bit scary. Lucy Cousins' stories and illustrations are pretty terrifying (albeit terrifying in primary-coloured way) but Little C cannot get enough of them. She gets five stories (or sometimes more) a night and if she had her way, they would all come from Yummy. Mummy however, has a lower tolerance for repetition and limits this anarchic toddler-fodder to two or three stories per night with the remains of the quota made up from a regular selection of firm favourites. I love it when we like the same books and I always feel a little bit proud when she chooses a Walker Book. A Bit Lost by Chris Haughton, I Want My Hat Back by Jon Klaassen and the fabulously feminist The Princess and the Pony by Kate Beaton never fail to please. But we also love The Gruffalo (who doesn't? 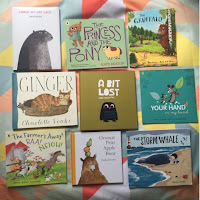 ), The Storm Whale, Orange Pear Apple Bear and just about anything illustrated by Britta Teckentrup. 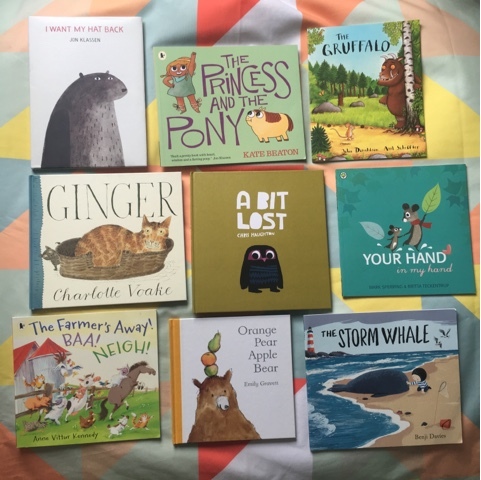 We like books that rhyme, books with lots of different voices (even if my accents are a bit inconsistent), funny books and above all, books with animals in them. It's nice to bring new books into our (not-so) little library, but we will always return to the old favourites. Even if we have read them a time or two too many! 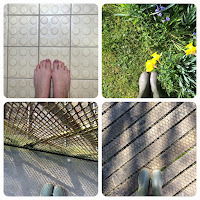 So you may have noticed that my most recent blog post was a little bit different from what I normally write. There was less about me and mine and more about the books that I have been reading and enjoying. 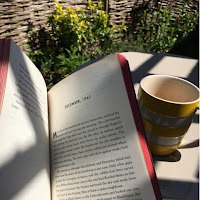 I've really missed writing here, as it's something very much for me, and I have come to the realisation that if I want to write I need to actively make the time to do it and then just do it! Now, reading on the other hand is something that I can always find time to do (especially on the train into London) and if I write about reading then I have the perfect prompt – something to write about that I'm passionate about and that I do all the time so, in theory, I should always have something to write about. I am seriously lacking creativity in my life right now, so this is my way of getting some back. Bear with me while I figure out how it will work. 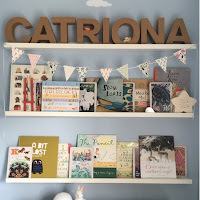 At the moment, I'm thinking that during the week I will post about one or two of Little C's books (and naturally about her) then at the weekend, I will post about the books that I read for pleasure (and whatever else has brought a bit of pleasure into my life). The main thing, though, is that I will be writing, and hopefully that will lead to me making, baking, getting out and about a bit more and generally making more of my life. (At least that's the theory!) So here goes. This week, for the very first time, Little C read us her bedtime story. The story of choice was The Biggest Kiss by Joanna Walsh and Judi Abbot (published by Simon and Schuster). It's a follow up to The Perfect Hug from the same team, which we enjoyed a great deal in boardbook. When we first read The Perfect Hug, I didn't get it. It didn't scan particularly well, it didn't rhyme brilliantly and there wasn't a huge amount of story, but then one night something just clicked and we discovered the real flow of the book. And it was magic. Trust in editors and go with it. Just reading the words as they come, without trying to get them to fit into the regular norms was lyrical and lovely and made all the difference in the world to our reading. And I think this must be what has helped Little C to love the book so much and to remember practically all the words so that she could read the book to us. I think that these two books are poetry and we'll remember her reading her first story to us for a very long time. Thanks to Aunty Laura, Uncle Mark, Adam and Sam for such a lovely present. 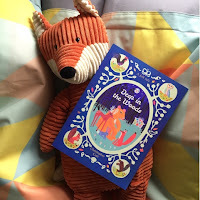 The second book that I'd like to share with you this week is the rather scrumptious Deep in the Woods by Christopher Corr (published by Frances Lincoln), which we bought last weekend at The Hambledon in Winchester. It is luminous and lovely with almost-neon colours that shout out of the pages. The artwork is charming and the story, with its group of animal friends is delightful. There are no bad characters in it, everyone is friendly and they work together to find a way that they can co-exist happily. The sense of community fosters a kindness in the book that is all too often missing, sacrificed for a bit of dramatic tension or some mild peril. A really special book that I'm sure will stay in rotation for a good while yet. If you were the kind of person that might judge a book by its cover (which let's face it, I know do - all the time) you would certainly find that these two books are very fine books indeed. They are both beautifully designed and produced and are just the kind of book that I would want to read, just from looking at them. 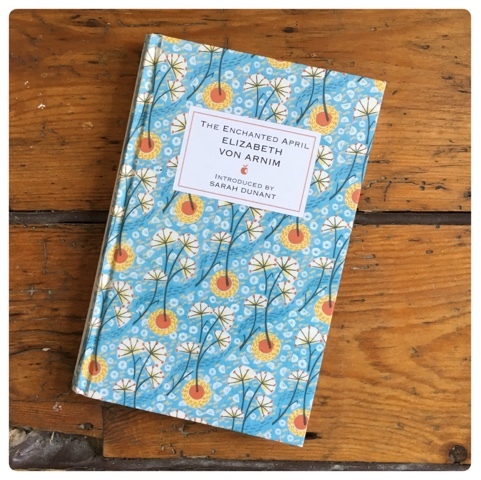 I picked The Enchanted April by Elizabeth von Arnim as a holiday read for our recent week in Cornwall and D bought Pax by Sara Pennypacker as a present for me from the most excellent St Ives Bookseller. Sadly I didn't have enough time to finish either of them while we were actually away. (I did finish The Storied Life of A. J. Fikry by Gabrielle Zevin, but more of that another time.) But now we're back and I have my reading time on the train, I've raced through them both and enjoyed them very much indeed. 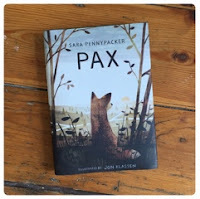 In Pax, Sara Pennypacker has seamlessly woven three stories: that of the title character Pax, his boy Peter, and the broken (but not bowed) Vola. All three characters are rich and believable. I don't usually go in for talking animals, but the very 'foxness' of Pax is utterly enchanting and convincing to boot. The background to these stories is a war-torn country, the precise area in which Peter and Pax live has been evacuated. Peter's father has enlisted and Peter is sent to his grandfather's house, meaning that he must leave Pax behind. Needless to say, this doesn't go well for either of them and the first section of the book is dedicated to their anxious search for each other. The second section of the book is where, for me, things got really interesting and new characters were introduced. Two cranky women. (Perhaps this is why I liked it so much!) Vola is a woman damaged by war and Bristle is a vixen fighting to survive against the humans while looking after her brother Runt. On first encounter, neither of these women want anything to do with Peter or Pax but as the lives of the two humans and the two foxes become entwined they soon become as important to each other as the fox and his boy. The third section of the story sees the two main characters reunited but the shift in the dynamics of their relationships has altered everything and life will never be the same again for either of them. The finale was heart-wrenching, but the openness of the ending left hope for me that all would ultimately be well. This was a wonderful book that I would whole-heartedly recommend. Viola is one of the most excellent women characters in children's literature that I've met in a while. 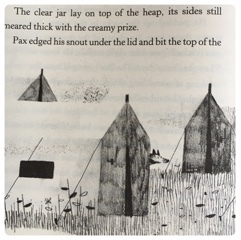 The only thing that would have made it better for me would've been far more of Jon Klassen's delicious illustrations, but you can't have everything. Speaking of excellent women brings me onto the second book that I finished this week. I am a huge fan of the Virago Modern Classics range and have been ever since I discovered Excellent Women by Barbara Pym with a cover by Orla Kiely. 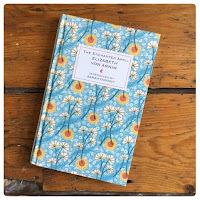 This beautiful book with a cover by Angie Lewin has been sitting by my bedside for quite some time waiting for a suitable occasion, and a holiday in Cornwall in April just felt like the perfect time to be reading The Enchanted April by Elizabeth von Arnim. The interiors are every bit as delightful as the cover and the four women who find themselves thrown together for a month in an Italian castle are about as colourful and charming as you could hope for. Set in the 1920s, two young women, Rose and Lotty, both dissatisfied with the marriages are brought together by an advertisement in the Times for a small Italian castle available to rent for the month of April. Finding it a stretch financially, they enlist two very different women, the bored but beautiful, Lady Caroline and the haughty and lonely Mrs Fisher. At first meeting they get on terribly, but as the weeks pass by and their relationships deepen the magic of San Salvatore weaves its way in and out of their lives. It's not massive on story, but the characters are all and it is simply wonderful. I dare you not to love it! What a great couple of months we've had since I last posted here. We've had our first family holiday to Cornwall (including Catriona's first steps in the sea! ), done lots of work around the house (all of the things that we've been putting off for the last eighteen months), and watched our little baby change and grow, turn into a little girl and begin being her own wonderful, wonderful person. It's amazing to see the changes in her from day to day. 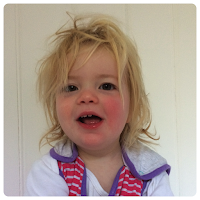 Just last week over the course of two days, she learned six new words; teeth, cheese, Janey, Phoebe, bed and Volvo. (D is particularly proud of that last one!) She understands things in a way that we've never really appreciated. She has a sense of time passing, she knows who she is in the context of her own world and she is happy in it. When we came back from our holiday, she finally moved into her own room. 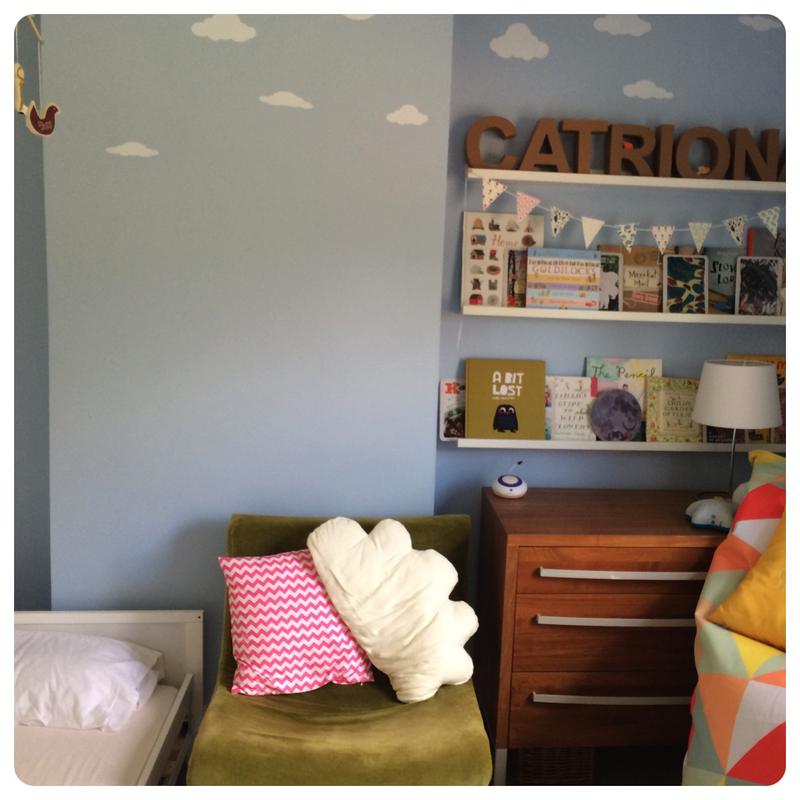 A little later – well, a whole year later – than we'd planned, but wow! what a difference it has made to us all. It's a lovely room and a space that I would've loved to have had as a child. It is very much her own room though, with her bed and her clothes, books, toys, a mobile, lights and pictures (although the latter aren't actually up on the wall yet.) We bravely took the decision to take the sides off her cot to give her a big girl's bed and true to her own unflappable nature, she slept in it completely unfazed from day one. And boy, does she sleep. When her cot was at the bottom of our bed, she would wake up four, five, six times a night. I'm a restless sleeper and, to be honest, we wound each other up. But now – and I truly hope that this will last – she goes to bed and stays in bed, asleep until we go upstairs to wake her up the following morning. And waking her up is now my new favourite time of the day. 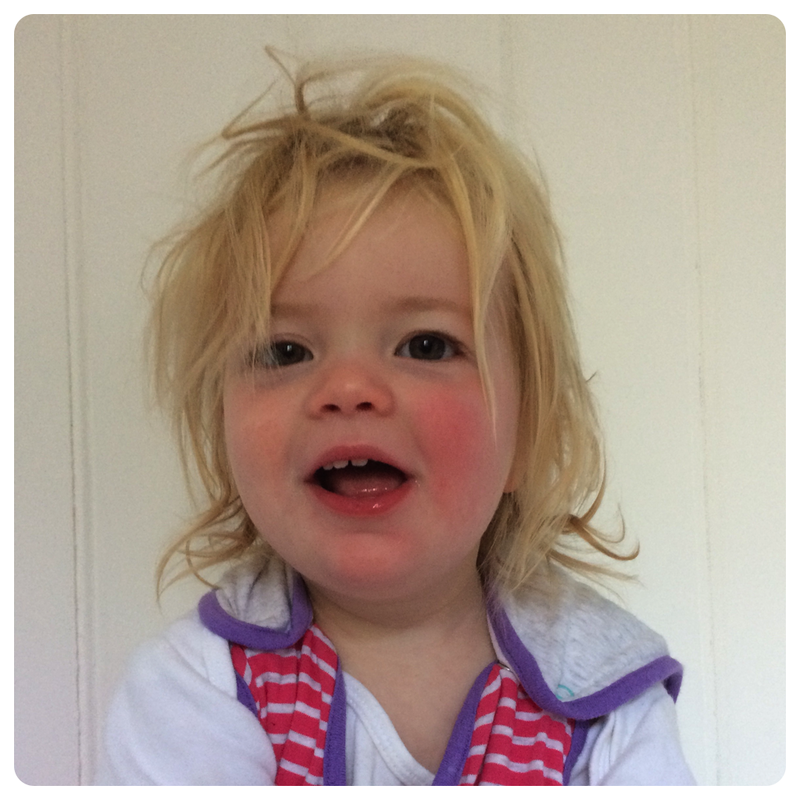 She always wakes up with the most spectacular bedhead and a breathtaking need to chat. She can go from sound asleep to full on blabbermouth in less than five seconds. It's astonishing. And lovely. And the only way to distract her from her early morning monologue is to ask, "Catriona, would you like some breakfast? ", to which the answer is unswervingly and resoundingly, "YES!" And then we start our day and the rest of our lives together. Love that girl! Imagine that you had a day when you could do pretty much whatever you wanted. Just one day to do as you pleased. What would you do? As a result of our lovely friends being away on holiday for a week, I needed to do an extra nursery run and I decided that rather than ask for an extra work-from-home day, I would take a day's holiday to drop C off and then have a little bit of time to myself. In the run up to my day, I spent a certain amount of time mulling over what I might get up to. I knew that I wanted to do only nice things and to make every minute count. To do things that are hard to do when you've got a little person needing your attention. The anticipation became a treat in itself; what would I do? what could I do? There was no should about it, no sense of duty, because I was only going to do things that I wanted to do. And on the day itself, I dropped Catriona off at nursery and headed straight to the leisure centre to actually go for a swim. Going swimming with a toddler, means splashing around, jumping in and walking around the pool with a baby torpedo, but no actual swimming takes place. This time was different, I swam thirty leisurely lengths, savouring the silence, and I left the centre properly dressed, with dry hair and even with a bit of make-up on! Next up was a brisk walk up to Clarendon Palace in the glorious sunshine (lucky me) and a walk back through the nature reserve at Whitebridge Spinney. This ran nicely into lunchtime so I took myself off for an alfresco lunch of wild garlic tart at the very lovely Henderson's Artisan Bakery and stayed on after lunch to read my book in the sunshine with a cup of tea. I had planned lots of things for the afternoon – knit, make malteser tiffin, watch a movie, paint my nails – but the weather was so nice that I took a blanket to my nearest park and read my book until it was time to collect little C from nursery. What a wonderful day. And the best part of that day? Seeing C's lovely little face when I picked her up from nursery and getting those two perfect, pudgy arms wrapped around my neck when I reached down to pick her for a cuddle.